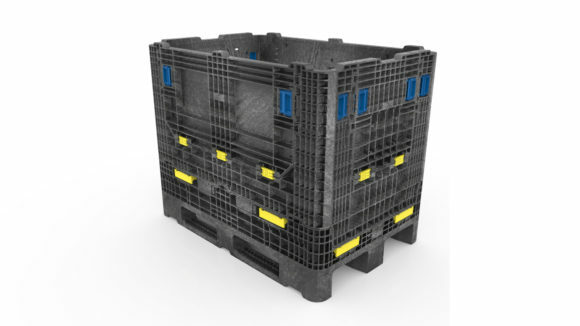 The all-plastic, collapsible plastic container offers benefits compared to gitterboxes in the European market. 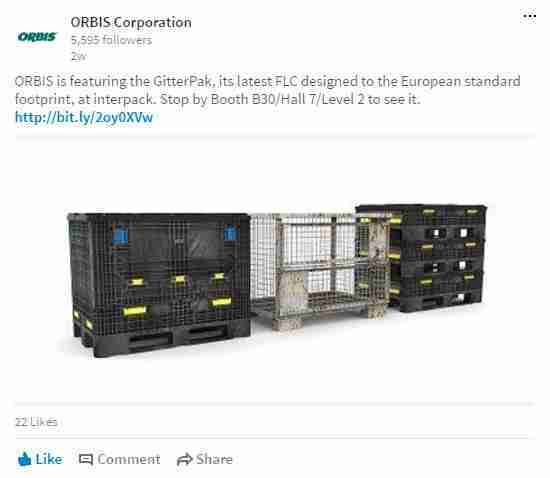 ORBIS® Corporation, an international manufacturer of reusable packaging and supply chain optimization expert, showcased its newest product, the GitterPak™, at interpack 2017. The GitterPak is an all-plastic, collapsible bulk container manufactured to replace fixed-wall gitterboxes. It can hold up to 900 kg, improving product protection and pack density for heavy-weight loads and high-velocity goods. The 1200mm x 80mm x 960mm GitterPak was presented at ORBIS Booth B30, Hall 7, Level 2, during interpack. GitterPak — with its European standard 1200 x 800 footprint, makes it ideal for sequencing parts, as well as rightsizing part shipments for line-side assembly and work-in-process operations. The all-plastic material makes it easy to clean, preventing rust and metal-on-metal part damage. The GitterPak folds when empty for return trips, allowing more containers per truck compared with non-collapsible steel tubs. In a standard truck, 264 collapsed GitterPaks can be shipped, compared to 78 non-collapsible gitterboxes. In addition, the GitterPak is available with up to four access doors and offers excellent interior access for ergonomics and safer handling. The innovative three-runner base allows it to fit into supported racking or automation systems that are standardized to the 1200 x 800 footprint. The double-wall construction helps the GitterPak withstand impact from fork trucks, and the two-snap engagement ensures secure runner-to-base connection.